Brand new revolution in the approach to the production of individual jewellery. What is this idea - will be organized a kind of farm-laboratory, which will be under the individual parameters of the person, which will be separately computed (the original formula), where the spiders of the corresponding breed in the appropriate enclosure with the appropriate amount of time will be to spin a web. 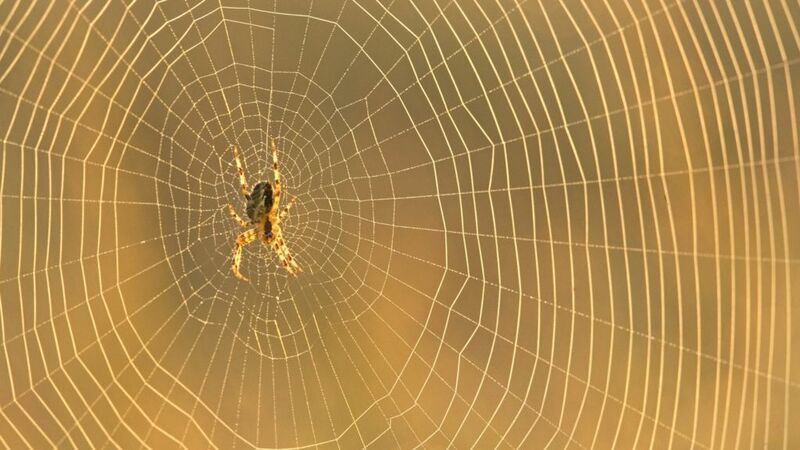 When ordering from a spider" is done, it is taken for jewelers. They take this, the individual webs, strengthen it with a special solution and then sprayed on her precious metals - gold, platinum, silver, etc. Also, this precious web, if desired, and encrusted with precious stones. When the product is ready, it is placed in the original packaging and sell to the customer. Is an ideological direction to be applied in other similar topics. Which is separately specified with the ideological founder of this direction. Some time ago, the Chinese corporation Xiaomi published a new patent on the resources of the World Intellectual Property Organization, which surprised users. We are talking about the phone, which will be completely missing the frame, and the hole will be only one - USB input. On the presented diagrams it is clear that the screen completely occupies the front side of the smartphone. In this case, the developers have provided only one port - USB Type-C, designed to charge the battery. A single hole will be located at the bottom of the portable device. As we already said, the device will have no frames, so developers can hide the front camera directly under the display. There are developments of such technology, but so far no one has managed to implement them. There is another option - the selfie-camera will leave from under the screen. A similar technology has already been used previously in the Mi Mix 3 smartphone. If we talk about sound, then the speakers in the phone will not, so it will come from the display itself. By the way, the screen will look amazing, because it is going to make it streamlined, that is, with curved edges. On the back there is a cutout only for the main camera, which will receive two modules. There is no fingerprint scanner on the case, therefore, the sensor will most likely be installed under the display of the smartphone. At the moment, it is not known whether Xiaomi will release such a device. However, it may well be engaged in its development, because such devices are in great demand. Similar smartphones have already been released by Vivi and Meizu.